SACRIFICED! MAKE AN OFFER! THIS OWNER WANTS TO BE GONE YESTERDAY! We want you to enjoy the property experience. 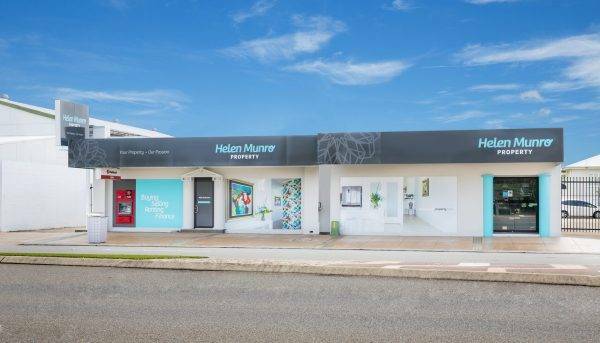 So here at Helen Munro Property we’re turning Sales and Property Management on its head. It’s really the little things in Sales and Property Management that make the biggest difference. Firstly, it’s understanding your investing or buying requirements. The first question we’ll ask you is, ‘why are you investing, buying or selling?’ and then follow with ‘how can we help you achieve your goals?’ You see, if we understand you, we can assist you. The second thing to nail is communication. If we understand your needs and understand what type of communication you prefer, then the rest really is easy. We know that if you trust us, our job is easier and we know that trust is very difficult to gain and very easy to lose; so it’s of utmost importance to us. To that end, we offer a guarantee around our service, and while we have innovative, specialised systems and procedures, if we make a mistake, you’ll be the first,not the last, to know. Need an idea of what your home is worth for bank and/or insurance purposes, to keep updated or you’re thinking of selling? Our expert investor sale’s team can give you a quick, reliable and honest appraisal on what your home is likely to fetch. We are very happy with this result as we know that rents in Townsville may have softened a bit from when the previous lease began. It is wonderful that we have been able to maintain the same rent level. I think that this is largely due to your agency’s excellent tenant selection and meticulous inspections which ensure the integrity of our property is maintained. I must say I am very impressed with your level of service. Every time we have a query we are always replied to very quickly or receive a phone call from you. Even when re-signing our lease, the flexibility is great, as we have been unsure the last two times of what exactly we were going to do, your team was very supportive, and promptly communicated with the owners when we made our decision. You all make it a very easy process in all aspects of renting…Thanks again for making renting a pleasurable experience. Thinking of buying, selling or renting in Townsville?